Purchase on Bandcamp, Amazon, or iTunes. 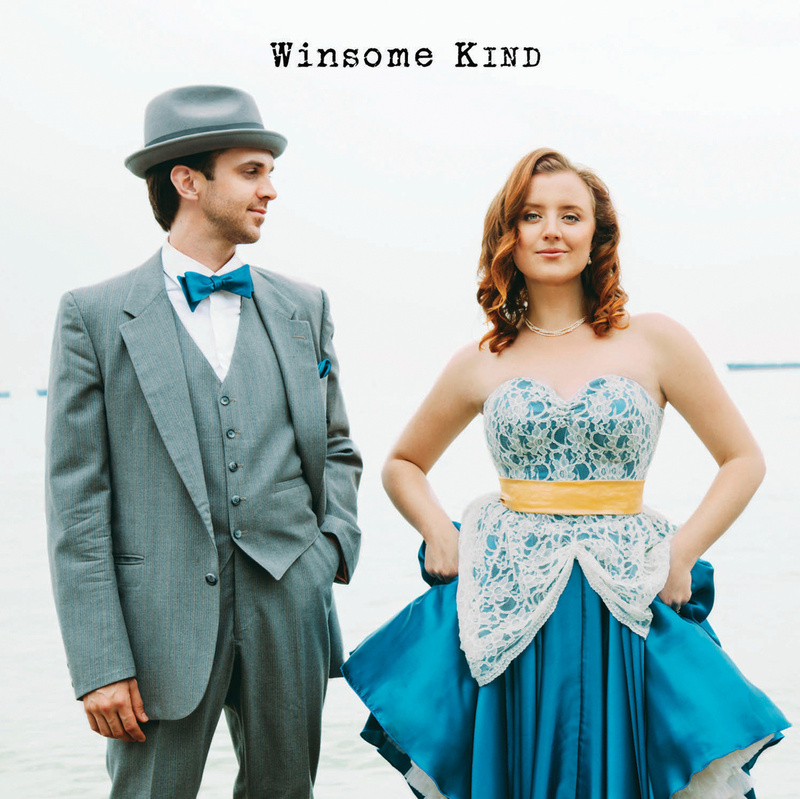 Heartening as a streak of sun breaking through a storm, the debut album from husband and wife duo Winsome Kind captures joyful moments from the couple’s own love story while also delving into some of the heartache that came before their nuptials. Even though Scott Perrie and Leora Joy‘s self-titled release is full of the warmth and wonder listeners might expect from recently married spouses, it doesn’t shy away from illuminating the pain associated with previous relationships. However, neither Perrie nor Joy wallow in bitterness or loathing as a result of that heartbreak. Instead, that pain turns to resolve, affirming that the couple have made the correct choices in their lives. After meeting and falling in love while performing in a stage production in 2012, Perrie and Joy spent 2013 touring Canada by railway, a series of appearances that solidified their personal and professional partnership. Following their engagement, the Vancouver-based singer-songwriters turned to producer Tom Dobrzanski for assistance crafting a record of elegant pop with folk underpinnings. His subtle production complements Perrie and Joy’s silky harmonies, keeping the focus on their supple vocals. Dobrazanski (piano and keyboards) Marcus Abramzik (bass), Sam Cartwright (drums), and Caitriona Murphy (violin) join Perrie and Joy in bringing the nine songs on Winsome Kind to life through effective instrumentation that ranges from delicate and playful (lighthearted ode “Intertwined”) to sparse (acoustic album closer “Sunrise”). Cause I know the sun is gonna rise. Fittingly, Perrie and Joy, who often trade lead vocals, sing the entire number in unison, indicating that they are committed to moving forward from their respective pasts and beginning a new life together. In between the arc of those two songs, listeners will find plenty to enjoy. Glimmers of encouragement can be found in the reflective “Burning Out,” a meditation on seeking solace in a world gone mad, and the compelling simplicity of the ballad “My Goodbye.” The aforementioned “Intertwined” is a feel good toe-tapper guaranteed to make people smile. There’s a decided maturity attached to Winsome Kind’s debut that speaks to the level of trust between Perrie and Joy as collaborators. These are not two people attempting to portray a fairy tale existence; they’re comfortable enough in their own skin to let an audience view both the bliss and the blemishes of relationships. While Winsome Kind celebrates the couple’s love, it is Perrie and Joy’s straight forward acknowledgment of difficult breakups that truly allows listeners to appreciate the importance of finally finding the right partner. Purchase the debut on Bandcamp, Amazon, or iTunes.